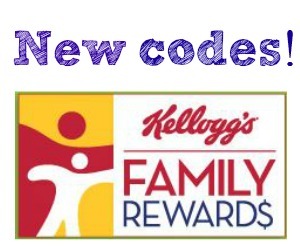 Kellogg’s Family Rewards just released a couple new Kellogg’s Family Rewards Codes. If you enter FRIGHTNIGHTBONUS and KFRTRICKORTREATS in your Kellogg’s Family Rewards account, you can get 75 points! These Kellogg’s Family Rewards Codes are great for earning rewards, especially really good high-value coupons that you can use to get Kellogg’s products. If you haven’t signed up for Kellogg’s Family Rewards, it’s easy and FREE to join.